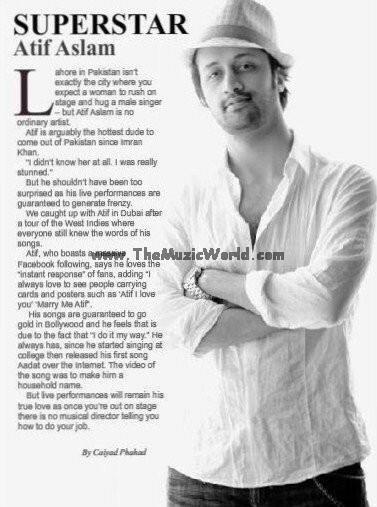 When CP asked Atif Aslam that who was your inspiration so he replied “People” my music is on people and for people. Atif Aslam elaborated it further that I would like to play free style at a place where people doesn’t know me at all and when i start playing i would like to see how people will react to my music and how much crowd I can attract. When CP asked that every song you do as playback in Bollywood it’s a super hit its like you put your hand in sand and you make it Gold so how are you managing to do this, he replied “I am blessed and I do it my way” he elaborated further that Live singing and Play back singing is two different things as play back singing required a lot of adjustments and variations but live singing you can do your way and not the way Music Director wants and that is why I love Live Performances and the best part is that each song I do as play back singer I do it my way and Music Director trust me on that. “I will never declare it to media if ever I am supporting any cause as I am doing it for me, people and God” he replied in answer to What cause you would like to get associated with? “be positive, respect your parents and elders, always smile and look for better things in life” Atif Aslam message to his fanz .